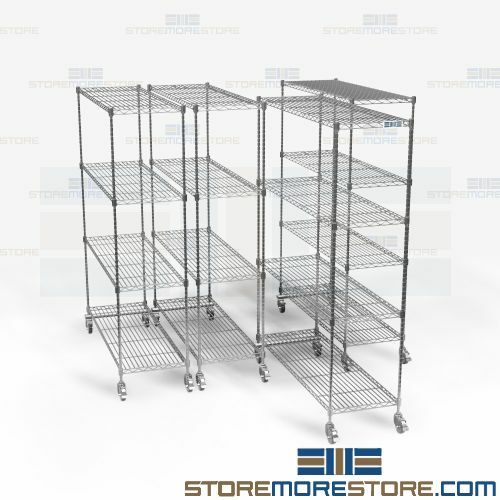 Zinc wire space saving shelves are complete storage systems designed to increase efficiency and storage capacity while saving space and reducing costs. Each shelving unit slides in and out on casters to eliminate wasted space between aisles with durable wire shelves that are ideal for use in warehouses, healthcare facilities, electronics storage, industrial and commercial environments, retail, and more. 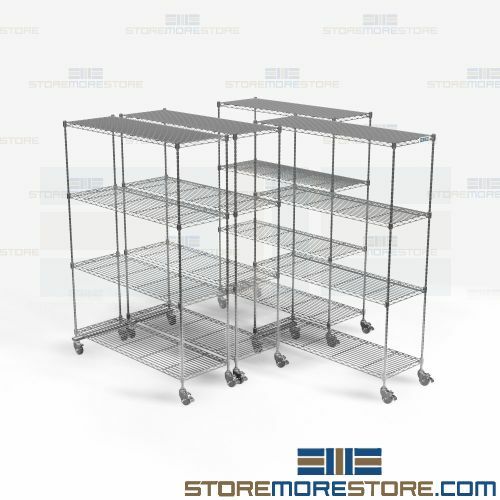 These pull-out wire shelving kits are ready to use and great for maximizing your floor space. 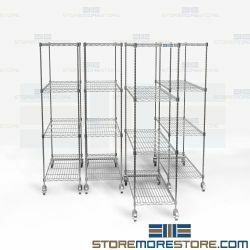 Each individual shelving unit is mounted on casters that roll in and out, which eliminates the need for aisles between rows of shelves that just take up valuable space. The wire construction also allows visibility, air circulation, and cleanliness. Casters: 5" Polyurethane (non-marring) casters with donut bumpers (2 swivel with brakes, 2 rigid). 1,200 lbs. capacity per set of four. Assembly: Ships unassembled. Assembles with a rubber mallet.